AMITABH SINHA: This is your third election. How is it different from the ones you have contested earlier? It is too early to say anything. I personally feel that the pot is getting stirred every day. It unnerves me. Ideology no longer seems to be an issue in this election. My fight is against no individual. I don’t care who the candidate is. I have an issue with my opponent, not individually, but over ideology. This war is about the way we want to shape the country for the next five years. It is a policy issue. Elections are to be fought on ideologies. Governments are about serving the people and somehow I feel we have lost the plot along the way. People are getting aggressive. It’s all about saam, daam, dand, bhed. The other thing different about this election is social media, not so much Facebook, but WhatsApp, which is playing havoc. Frankly, when people tell me this or that happened and that they learnt about it on WhatsApp, I get amused. WhatsApp is not in charge of my election. 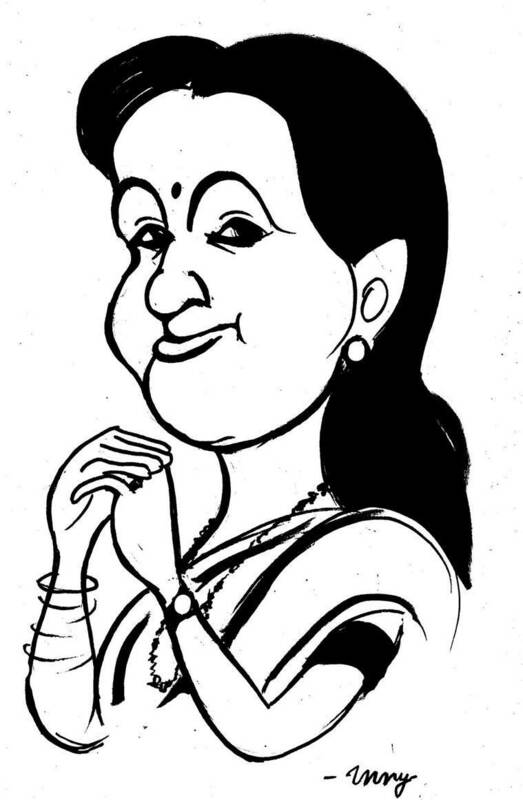 ANURADHA MASCARENHAS: Many leaders in Maharashtra have jumped ship to join the BJP. Did Sharad Pawar anticipate such a trend in western Maharashtra? Does anybody ask these leaders why are they joining the BJP? They are the same people who have been vocal in their criticism about the BJP’s policies. So you have to ask them why they have joined the party. It is so disappointing, especially when they are highly educated, brilliant people. It is for their own convenience that they have joined the BJP. These leaders have criticised the ideology (of the BJP) for several years. How will they deliver then? MANOJ MORE: Why did Sharad Pawar decide not to contest these elections? Few people in Indian politics have seen 14 elections. Sharad Pawar is 78 now. Politics is what he loves and he gets new energy during elections. I don’t think anyone has prevailed over him. Sharad Pawar listens to nobody but himself. He is a survivor. In his 50-year career people have left him and he has seen disastrous stuff. However, I feel that power should never be isolated in and around one person or one family. In India people get overwhelmed with power. But what is power? Here today, gone tomorrow. Why do I like this job? Why am I a high-performing MP? Why do I ask so many questions? It is because I would like to make people’s lives better. 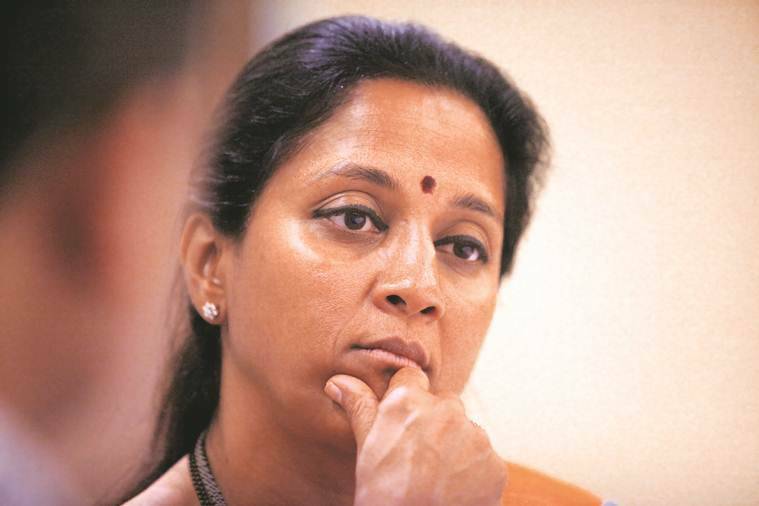 NIRUPAMA SUBRAMANIAN: Do you think Sharad Pawar is a PM candidate? NIRUPAMA SUBRAMANIAN: You said that only media and politicians seem to be interested in elections. Is that not a kind of a self-indictment, that people are not interested? Also, when you talk of ideology, it is a little abstract. Could you break it down for us? See, the tempo of filing nominations, campaigning will slowly build up. So far there was no clarity on who is in which party. You would wake up one day to find someone in another party and then wonder what happened to their value system. When I talk about ideology it is about the Congress and the BJP — one representing modern India and the other which is not for modern India. For me the BJP is a regressive party. They talk about equal rights but do not believe in it. For instance, they had the women’s reservation Bill in their manifesto. They had all the power, so why didn’t they keep their promise? Also, I have an issue with them when it comes to farmers not getting remunerative prices, rising unemployment etc. NIRUPAMA SUBRAMANIAN: What do you think people really vote for? The last elections were different as people were angry with us. People were not happy. There were allegations. But this time the government has failed India and we need to stand up and tell them what has gone wrong in the last five years. For instance, their (the BJP’s) ideology was against dynasties. Take a count and you will find that there are more dynasties on their side than ours. Personally, I believe voters want basic amenities. Issues such as traffic, the stray dog menace, their garbage not getting picked up… Such things tell you that the systems below are not working. There is a full-fledged corporation (in Pune) that needs to address these issues but then I get a call asking whether Supriya tai can help. I cannot say this is not my job as people do have expectations from me. I call the officer concerned and direct them to lift the garbage. SUSHANT KULKARNI: You spoke about WhatsApp and how it is being misused. Does the NCP not use such technology? Every political party has a social media team. Personally though, I want to meet voters in flesh and blood. In the last five years, I have gone to every village in my constituency and the team displays it all on Facebook and Twitter. However, I am still old-fashioned. I want to meet people, to remain emotionally connected to them. ANURADHA MASCARENHAS: Baramati is often projected as a model for development, but there have also been concerns about certain social indices in the region. I only commit to what I can deliver. There have to be realistic targets. Some of the indicators of my constituency may not be considered electorally relevant but I know that I have delivered on those fronts. For instance, take the issue of malnutrition. Recently, the Tata Trust and Harvard University released a report profiling top constituencies working on the issue across the country. Baramati stands at No. 3. It is also the most high-performing constituency in the country in terms of work done to eradicate malnutrition. Now, how many people know of this and how many care? But for me it is very relevant as children, who are not my voters, will be healthier. So judge me by my performance. Check data, ask questions…. MANOJ MORE: Your victory margin reduced drastically in the 2014 general elections. Are you worried that the BJP is eyeing Baramati this time? Boss, jo jeeta woh sikandar (the winner takes all). Whether I win by one vote or five lakh votes, it is okay. 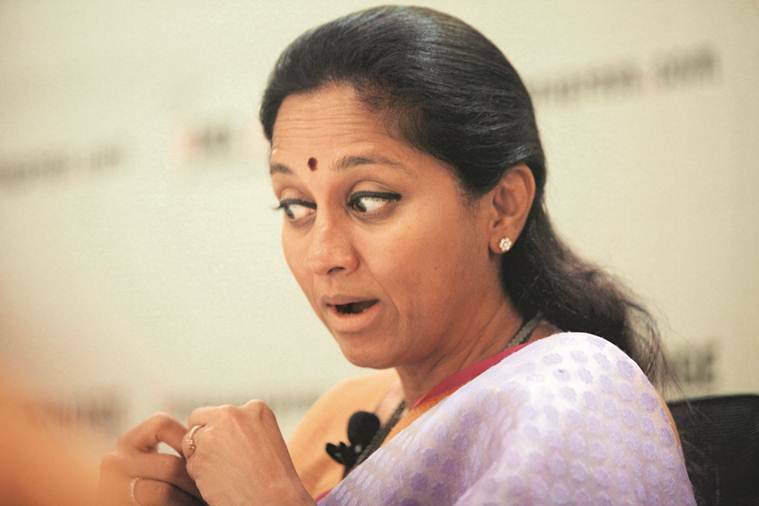 Supriya Sule’s job is not about grabbing power. This is my passion. I am flattered that the BJP is eyeing my constituency. That means that I have done a damn good job. AJAY KHAPE: Who do you think should contest the Lok Sabha elections, and do you think your nephew and the NCP candidate from Maval, Parth Pawar, measures up to those qualities? Anybody who is sensitive to issues, high-performing, honest, should contest. It is for the people to judge Parth Pawar. They will elect him if they think he is good. After five years if people don’t like our work they reject us. I have never got caught in the trap of being Sharad Pawar’s daughter. The reason I don’t use my family surname is to create my own identity. I am proud to be their daughter but I also like to work in my own space. And that is why when I get an award and a pat on my back from Sumitra Mahajan (the Lok Sabha Speaker) as a high-performing MP, it makes my father proud. 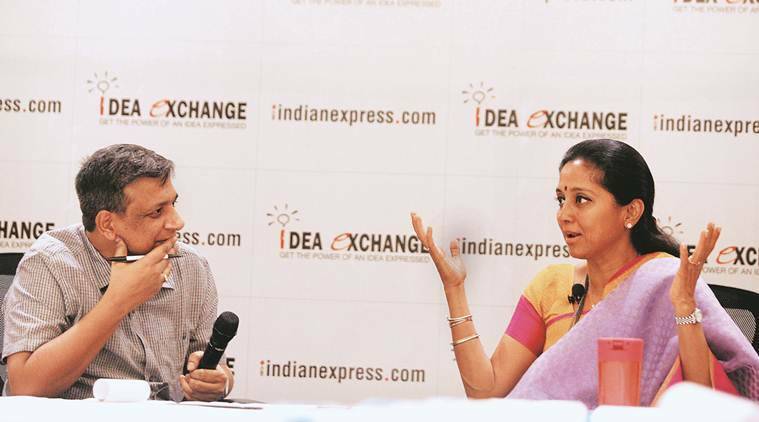 NIRUPAMA SUBRAMANIAN: So are you then saying that we have to make peace with political dynasties? No, you don’t have to make peace. That’s your choice. You have to stand by what you want. If you feel dynasties are bad, then so be it. RASKIA BHALE: You said your father has won 14 elections. Do you think there should be a limit on the number of elections an individual can contest? How can you do that in a democracy? People have the right to reject. AMITABH SINHA: The broader question is that should there be a retirement age for politicians? No. Doctors don’t retire, lawyers don’t. My lawyer is 92 years old. My doctor is very old but I don’t want to change my doctor. Teachers retire at 60. They are so talented and skilled, why should they retire at 60? In my constituency, I tell them to teach at zila parishad schools (post retirement). ANURADHA MASCARENHAS: The Dhangar community in Maharashtra has been angry with the state government over the issue of reservations. The Prakash Ambedkar-led Vanchit Bahujan Aghadi (VBA) has named influential Dhangar leader Gopichand Padalkar its candidate from Sangli. How do you see the contest playing out? Why would they (the VBA) not join hands to resolve the demands of a community? Look at a party like ours, or the Aam Aadmi Party. Hats off to (Delhi CM) Mr Arvind Kejriwal who has said that let’s join hands with the Congress to take on the Centre. We tried our best to reach out to Prakash Ambedkar, but it is unfortunate he refused to join hands. This will only lead to division of votes. Who is going to benefit? It seems nobody is interested in making a difference; things are so bad in this country. MANOJ MORE: Prakash Ambedkar has also alleged that Sharad Pawar has been having secret meetings with the Prime Minister. Your father and the PM are believed to be good friends. I have not been part of any meeting (between the PM and Pawar). If anybody has any evidence of a secret meeting, they should come forward with it. I am curious to know about it as well. NIRUPAMA SUBRAMANIAN: In your manifesto you have mentioned initiating talks with Pakistan and a promise to deal strongly with terrorism. Do you think national security is a crucial issue in this election? National security is clearly a serious issue. We are all for dialogue to resolve key issues. All these years, such issues were not in our manifesto and I was surprised. Global terrorism has become the biggest challenge the world is facing now. The world is not the same place. It is changing every day. AMITABH SINHA: Did the Congress consult you, other allies, before announcing the Nyuntam Aay Yojana (NYAY)? Of course. We have been consulted and we are on board. Mr P Chidambaram has been the finance minister of this country. Let us have faith in the people who have delivered superior results for this country in the past. Eventually, we will ask them to give us a clear roadmap on how the programme will be implemented. AMITABH SINHA: What is your assessment of the NDA government’s performance in the past five years? On two crucial issues, agriculture and unemployment, this government has failed to keep its promises. They were the biggest challenges and this government has failed the people on both the counts. In this election, agrarian crisis and jobs are key issues. MANOJ MORE: In the 2014 Assembly elections in Maharashtra, the BJP fell short of a majority, and the NCP, without being asked, extended support to the party. Would you do the same after the general elections? At the time, we offered support in Maharashtra because otherwise the state would have been forced to go through another election. We were not joining the government, only extending support from outside. MANOJ MORE: Are the BJP and the NCP closer than the NCP and Congress? You obviously don’t follow my or Sharad Pawar’s speeches. These are the two people who most often criticise the Devendra Fadnavis government in state. It is not against Modi or Fadnavis, it’s not personal. Our fight is against wrong policies. Personal relations are personal but this is about the politics of Maharashtra. We had good relations with Shiv Sena supremo Bal Thackeray and BJP leader Pramod Mahajan. The differences are on ideology. AMITABH SINHA: Earlier there was an attempt by PM Modi to reach out to Sharad Pawar. He had come down to Baramati and publicly met Pawar. It was kind of Modi to come to Baramati. You are looking at things in isolation. When the UPA was in power, and Mr Pawar was the Union agriculture minister, he had helped Gujarat like any other state. It was very kind of Mr Modi to remember that. I keep repeating that personal relations have nothing to do with ideological differences. ANJALI MARAR: How do you see the status of women in politics now? Let us not fool ourselves. Electoral merit is important for everyone. Every party doesn’t necessarily have women candidates who can win. We have seen wonderful women in politics. As for me, I always try to better my performance. I always feel the need to do more for my constituency. NIRUPAMA SUBRAMANIAN: The Congress-NCP alliance in Maharashtra also apparently includes 56 other organisations. Most of these are not even political parties. How does this grand alliance help you fight the BJP-Shiv Sena in the state? These are other kind of organisations like NGOs etc. All like-minded people should come together. Not very long ago, everything that the BJP was doing was seen as wrong by the Shiv Sena. They were talking badly about each other. They can do anything to come in power. AJAY JADHAV: What is your assessment of the Congress-NCP alliance? We will do better than our past performance. I am confident of it. CHANDAN HAYGUNDE: Will the NCP tie-up with Raj Thackeray’s MNS? We don’t have any tie-up with the MNS. RASIKA BHALE: What do you make of the Rafale controversy and the way it was handled by the Centre? The government should have addressed Parliament about it. Nobody wants security secrets to be revealed. It could have been done through a JPC (Joint Parliamentary Committee). What is even worse is that the documents of the Rafale deal got photocopied and robbed from the Defence Ministry. It is so scary. SARTHAK KHINVASARA: Is this election turning into a presidential-style poll between PM Narendra Modi and Congress president Rahul Gandhi? They (the BJP) tried to do it last time as well. I am not sure (if it will help the BJP). Besides the leader, they have nothing to say. If elections become so personality-driven, it takes away focus from core issues such as unemployment etc. NIRUPAMA SUBRAMANIAN: How would you tackle unemployment? I feel the way to deal (with unemployment) is to create an environment where people come and make investments… Make sure land is available, (facilitate) single window for taxation, make sure power and water resources are given… What more do industries require?